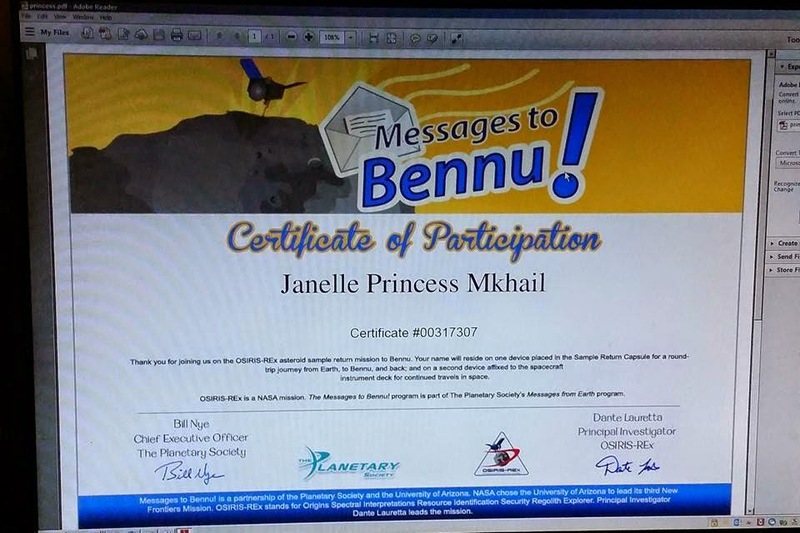 Janelle is off to outer space, well her name is. One piece of equipment on the NASA OSIRIS-REx will be named after her. Another piece will be left in the spacecraft, to live on forever in space. Happy Birthday!! !